We’re drooling over Xiaomi’s sizzling Mi Pad tablets. While IDC and Gartner market researchers and analysts are endless moaning over slowing tablet sales, Chinese smartphone and tablet vendor Xiaomi just announced it sold 50,000 Mi Pad tablets in 3m:59s. Yes, that is 50,000 tablets in less than F O U R minutes. With a 7.9-inch, 2048×1536 display, 8MP rear camera, 5MP front camera, 2GB RAM and Nvidia Tegra K1 quad core Cortex A15 2.2 GHz processor with a 192-core Kepler GPU, the Android 4.4 based Mi Pad is one sleek kitten. Mi Pad includes a microSD card slot, microUSB port and is light on your hand at 360 grams. Xiaomi’s MIUI custom interface sits on top of Android KitKat in the Mi Pads. 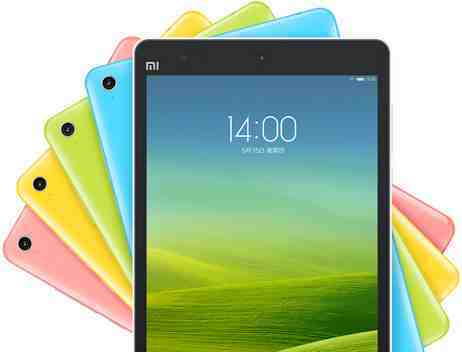 What’s made Mi Pad immensely popular in China is its price. It costs a mere 1499 RMB ($241) for the base 16GB model. Add $35 for the 64GB version. Xiaimi has been selling Mi Pad for some time now but it’s just started to broaden sales to other regions. Last month, Xiaomi entered the Indian market with its Mi 3 smartphones. 4 Responses to "What’s Hotter Than Sunny Leone? Mi Pads"
Xiaomi is gonna launch in India on July 11. According to their Twitter postings, they made their Indian debut in mid-June! Perhaps, they’ll officially roll out their products on July 11 (as u say)! The teaser at their website says it is Jul 8. It’ll be interesting to see if Xiaomi becomes as popular in India as it is in China and a few other parts of Asia. Good specs for both the phone and tablet. But no information on when the Mi Pad will launch in India 🙁 I expect them to price it smart to kill the competition. Was checking this link to their website out. On check out, I see India being listed in the shipping details. Then, decided to wait for India launch anyhow. 1. The original China price for the Mi Pad is $241. Your link shows $359.99. A huge difference. Better to wait & see how Xiaomi prices it in India. 2. I’m surprised about the hardware problems you’re facing with the iPad 2. I’ve never encountered any such issues. Did you or your folks drop it. You mentioned a few years back that your dad was using the iPad 2. The new Samsung Galaxy Tab S looks good. But expensive. Played with it for a few minutes at Best Buy two days back. Xiaomi is welcomed with hands open by Indian Reviewers. The display, the performance, the build quality, the battery life and even just the design, is class leading for a product of this kind. Xiaomi is going to make life very difficult for both Samsung and Apple. Samsung’s smartphone sales are falling, profits are falling…. And Apple’s biggest USP in the next iPhone is a larger screen. Meh! Except for the fanboys, it will be hard for Apple to woo independent-minded, value conscious buyers to its iPhones going forward in the face of fine devices like Xiaomi Mi 3. I won’t be surprised if Apple or Samsung sue Mi 3.